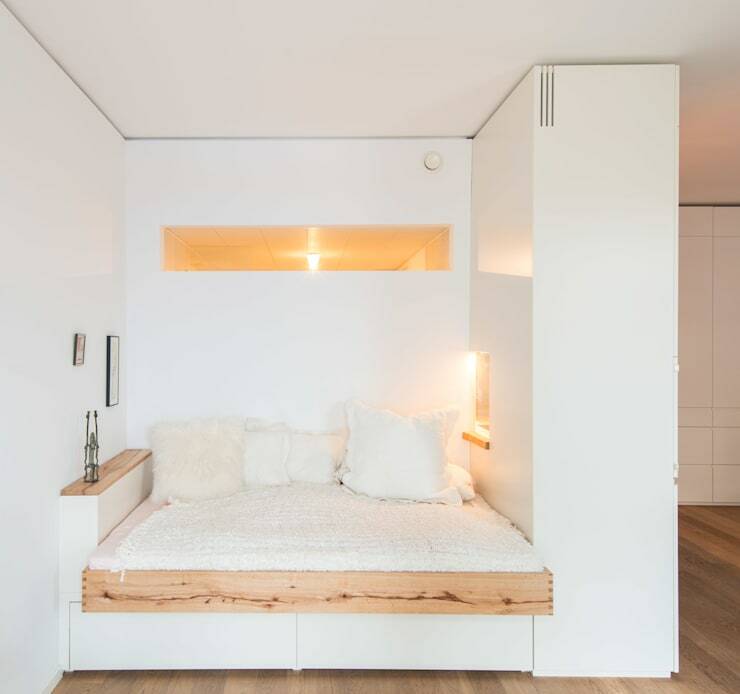 If you have a small apartment, you don't have to worry that you won't have enough space for all your belongings, as there are some fantastic examples out there that prove how far a little design creativity goes! We have found six beautiful homes that demonstrate this to perfection and when we say that the interior designers in charge of these projects really knew how to get more space from a small apartment, we aren't joking! 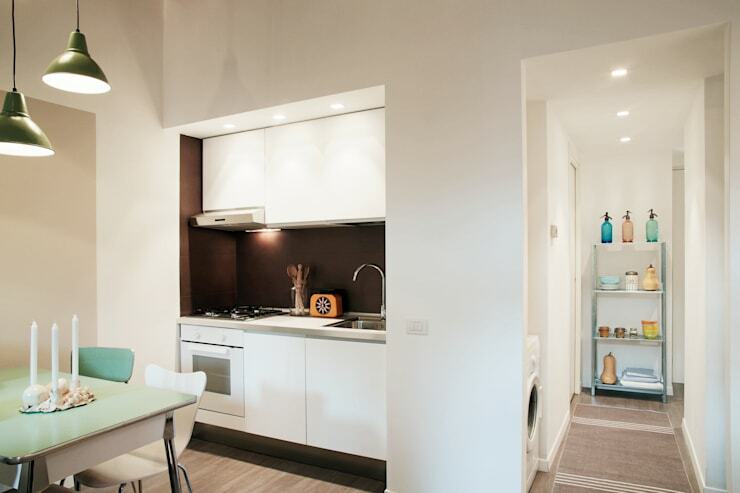 Clever storage, beautiful touches and elegant solutions are bursting out of each and every apartment here, so if you need a little inspiration to help you live a little larger in your small home, you've come to the right place! All homes have recessed walls and niches, so use them to your advantage! Sinking this small kitchen back into one has totally freed up a wealth of extra floor space and it looks built-in, chic and gorgeous! 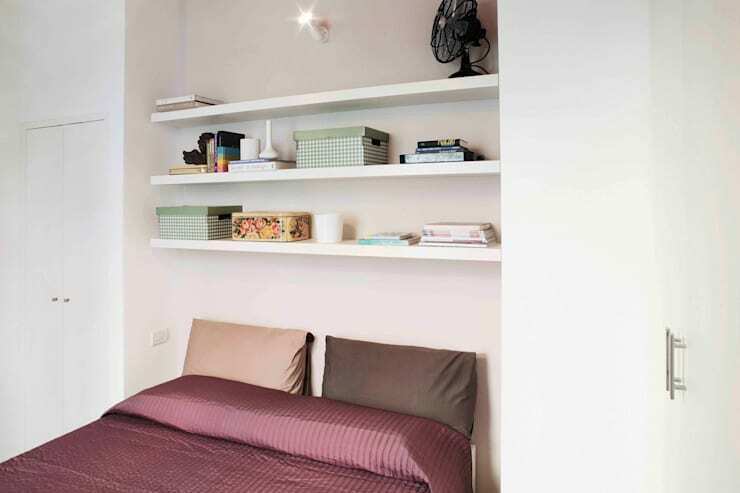 Even here, in the bedroom, this apartment has made great use of niches. Sinking the bed into one will have made the room feel far bigger, while adding shelves above has increased the storage potential no end! A small space can still be an interesting and well laid-out one, if you play with the levels. In this studio apartment, having the bed on a plinth has made the separation of living and sleeping spaces a doddle and looks fantastically stylish too! Woah! Just look at all the hidden storage here! Slide the sofa out and you have access to a huge drawer, while other sneaky storage bays have also been added. We love this idea! Including a sliding door here, instead of a standard variety will have saved countless inches and made for a far easier transition between areas. 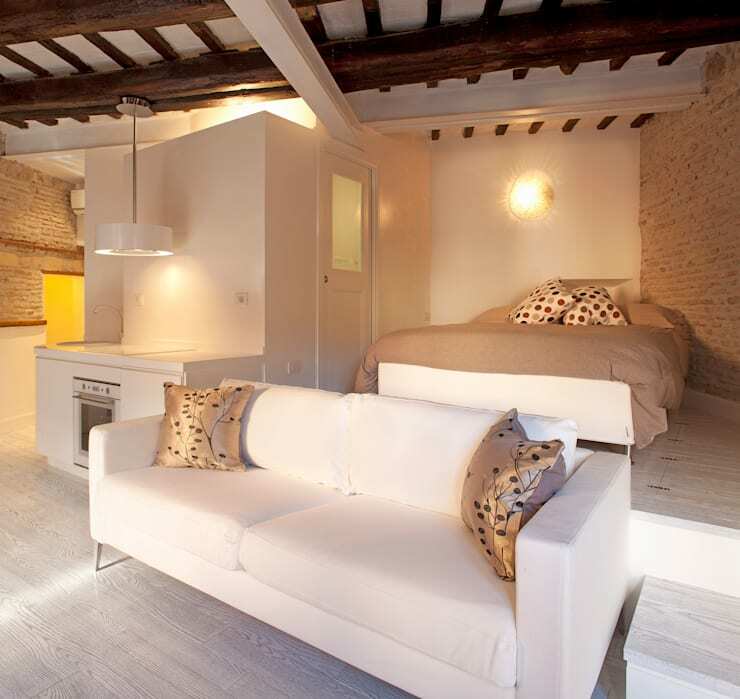 The less complicated it is to move between rooms, the larger they feel! 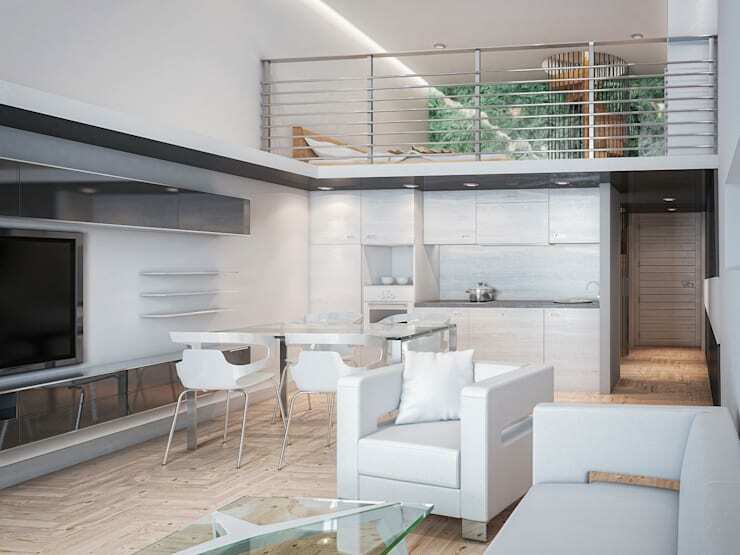 There is also a mezzanine sleeping level in this innovative apartment, which not only frees up plenty of floor space, but also looks amazing. By building up, instead of out, this layout feels so much more luxurious! 4. Use all the angles. Don't think of corners as awkward to dead space, as they can still serve a fabulous function! Add corner cabinets to a kitchen and store utensils on the countertop for no more wasted areas. 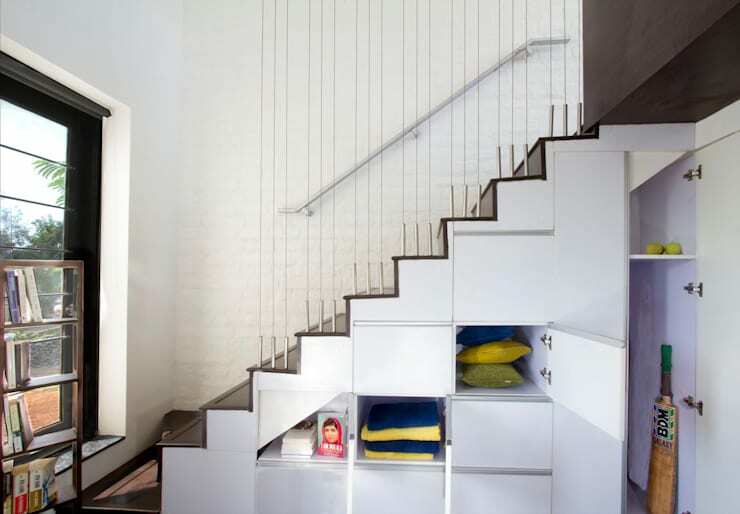 This staircase could have been such a space-drainer, but by using the 'awkward' underneath areas as storage bays, you would be able to enjoy a clutter-free home that looks, feels and functions in a far more spacious way. In a really small apartment, you need to start thinking about multifunctional furniture and this kitchen/living room divide is a perfect project! 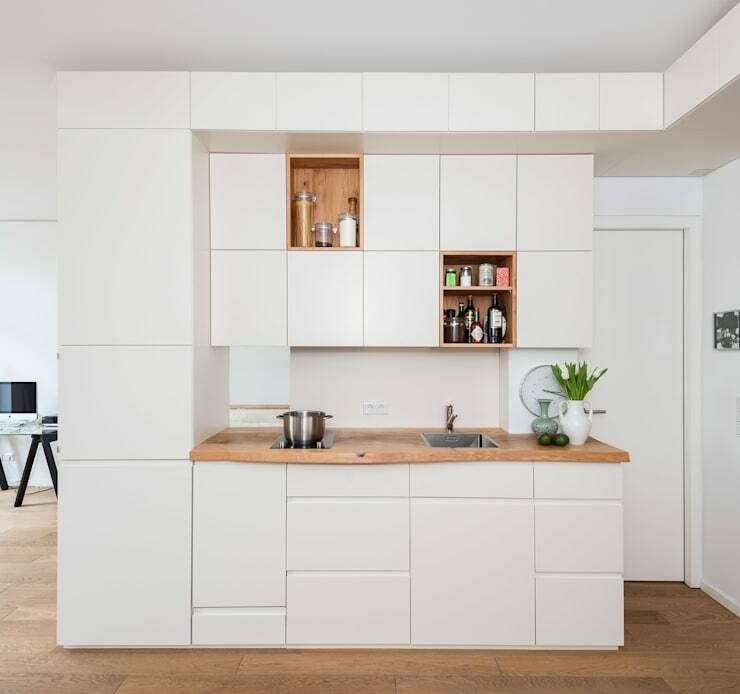 The cabinets are numerous, allowing for a useable kitchen, while the barrier they create cordons off the seating area in a cost and comfortable way. Looking at the kitchen from this angle, it could be in a much larger property, don't you think? Plenty of worktop and countless cupboards have made it such a clever design and it's the perfect way to divide the room. Ahhh, we now realise that the living room 'sofa' is also the bed! This is amazing! Talk about integrated design! Inset wall lighting adds contemporary charm, while the mix of white and wood really keeps things warm and ambient. We can also see drawers underneath, which is fantastic! 6. Think small when it comes to stairs. 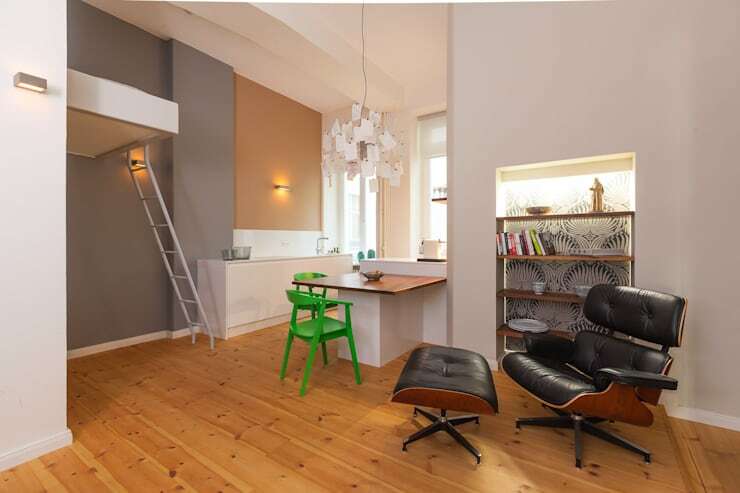 In a small apartment, try to go smaller with your stairs! A spiral staircase, as seen here, minimises the need for a big and bulky architectural installation and keeps every ;level as large as possible. They also happen to look extremely cool! 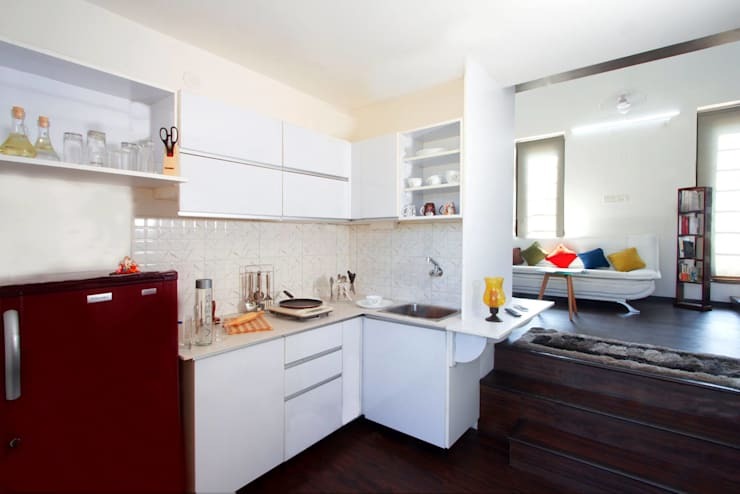 If you love small home inspiration, take a look at this Ideabook next: Small kitchen? No problem! 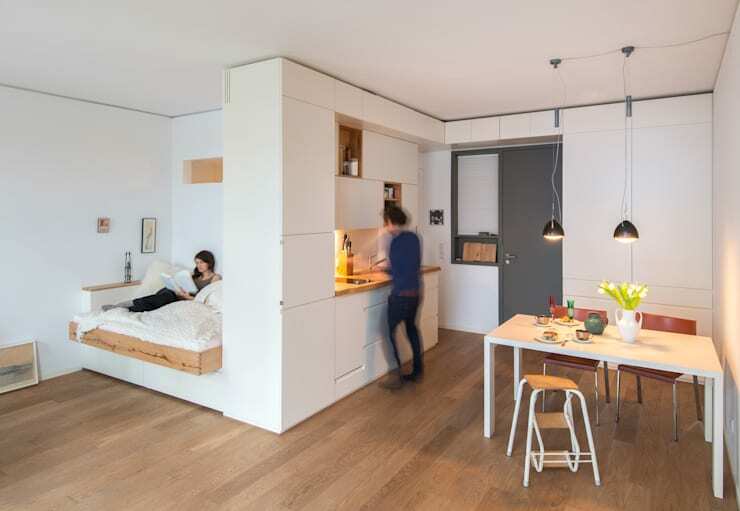 Which of these apartments has solved your home problems for you?